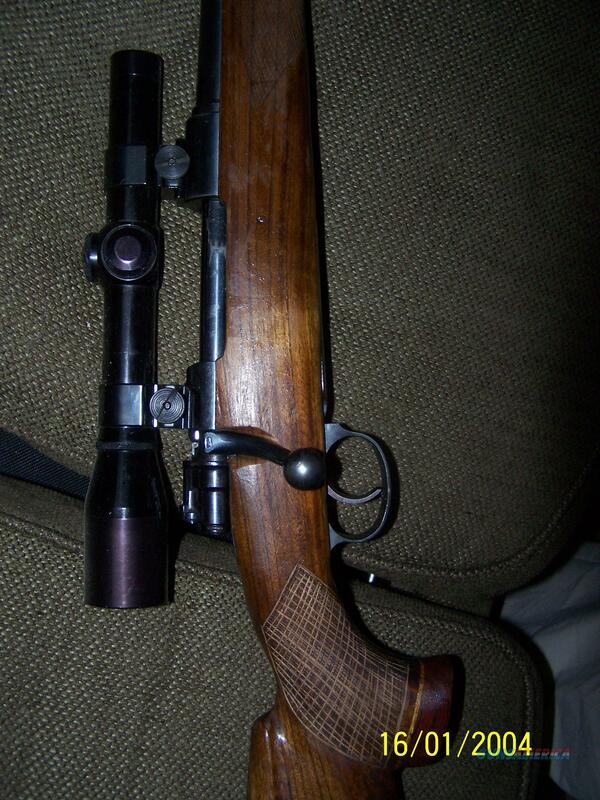 Large Ring 98 Mauser 8x57mm HVA rifle, fancy stock. Description: New claro walnut stock on hybrid action Husqvarna. Has long, sweep bolt handle of commercial action with solid left receiver with military style safety, stripper clip notch, and shorter magazine. Custom roll over stock with brown thick recoil pad, checkering somewhat crude as this was my first attempt. Heavy barrel, and swivel band of the earlier guns. scope not included. Any reasonable offer accepted. Reduced April, and May 2018, can't go much further down.